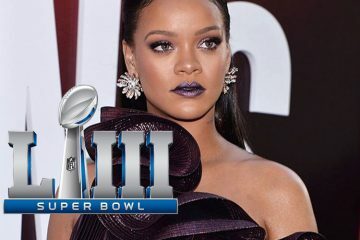 In a ruthless battle between the Philadelphia Eagles and the New England Patriots, the 52nd Super Bowl Halftime Show presented viewers everywhere with pop sensation Justin Timberlake. 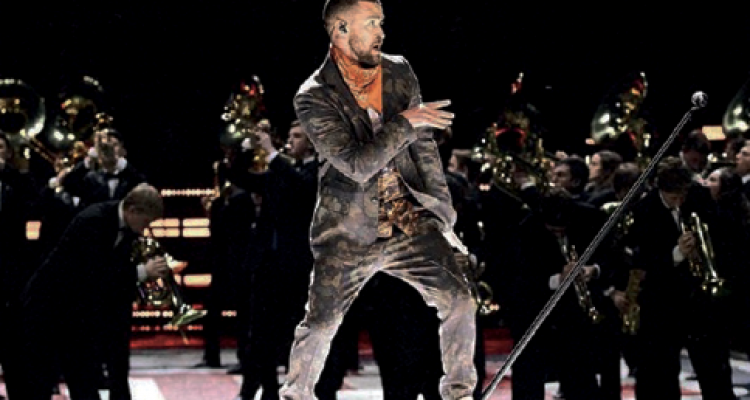 Despite the discussion, Timberlake went on to rock out the Super Bowl in true JT style. The performance began with a brief introduction from late night talk show host and close friend of Timberlake, Jimmy Fallon, before panning in on Timberlake, who started off by singing his new single “Filthy” in what seemed to be a lounge beneath the stadium. Timberlake, along with his back up dancers, vigorously made their way into the crowd, singing “Rock Your Body” – the very song he sang with Jackson, who did not appear at the performance. Many were disappointed with the absence from Jackson, who earlier stated on Twitter how she would not be attending the performance this year. Although Jackson and Timberlake say that they’ve both made peace with the subject and wish to not further discuss it, it still has caused many people to become upset while also generating a great deal of support for Jackson. The show would proceed with well-known favorites such as “Sexyback” and “My Love.” Timberlake would then go on to perform “Cry Me a River” and “Suit and Tie,” which was accompanied by a marching band and some pretty interesting choreography with his microphone. Timberlake then took things down a notch and played “Until the End of Time” on the piano before transitioning into a tribute for the late pop singer, Prince. 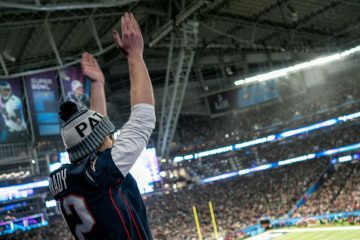 Timberlake had dedicated “I Would Die 4 U” to the city of Minneapolis, Minn., where the Super Bowl was held this year and, also, Prince’s hometown. As Timberlake sang, a projection of Prince appeared. This proceeded with the entire city lighting up in purple for the late artist. However, this also caused a great deal of controversy for a variety of reasons. In regards to various sources, there had been rumors going around about Timberlake possibly using a hologram, something that would go against the late singer’s wishes. According to CBS, Sheila E., a longtime friend of Prince, confirmed on Twitter that this would not be going through. Timberlake was still met with mixed reviews ranging from an outpour of love to a great deal of criticism. Timberlake would go on to sing his hit “Mirrors” in an elaborate process, using various mirrors from the crowd and his background singers. This would then transition into the final song of the night with the upbeat “Can’t Stop the Feeling.” Timberlake and his background dancers performed very lively and colorfully, sticking to the theme of the hit animated musical motion picture, “Trolls,” which Timberlake’s song appears in. Timberlake would end off by going into the audience, capturing the attention of one young fan who would take a selfie with him and cause a bit of discussion on social media due to his continued use of his phone even though Timberlake was performing right beside him. Justin Timberlake would make history by being the first person to ever perform the halftime show three times. The question is, did he step up his game this third time around? There are a ton of mixed reviews, ones praising Timberlake for his much tamer and well choreographed performance, while others criticize him for the incidents with Jackson and Prince. Overall, Timberlake gave it his all and definitely had the people in Minneapolis jamming out to many of his classic hits and new singles.